Draft: 2011, Tampa Bay Rays, CAth rd. Blake's alter-ego, "Snellzilla," became nationally known in 2018…teammates simply call him Zilla, his preferred nickname for Players' Weekend...He's an avid video game fan and was invited to host Major League Baseball's Fortnite tournament in Las Vegas during the Winter Meetings… he regularly streams games via his Twitch channel (@classiclyfamous), which has nearly 5,000 subscribers...NFL star receiver Odell Beckham Jr. is a friend of Blake's and took batting practice with the team in Anaheim while wearing a Snell jersey last season...In an effort to avoid reading stories about his own success, he resorted to temporarily blocking his mom's number to prevent her from sending him links...Blake never misses a #BumpDay social media post on days he's scheduled to start...He does everything right-handed, except on the baseball field...He has volunteered to help coach the basketball team at his alma mater, Shorewood High School, during each of the last three winters…Blake uses his experiences in baseball to help players with issues related to self-confidence...He is a big fan of the University of Washington and Seattle Seahawks…he never misses a game, whether in person or on television...Blake credits former Rays pitcher Chris Archer with helping him reach new levels of his game by encouraging him to pursue greatness…the two would frequently spend time together outside the ballpark, and they remain close friends...His father, Dave, is in his fifth year as head baseball coach at Shoreline (Wash.) Community College…Dave pitched six minor league seasons with the Royals and Mariners systems from 1983-88...He owns between 225-250 pairs of shoes…he began his collection in the 7th grade by saving the money he earned from catching the bullpens of his father's pitching students. Named the AL Cy Young Award winner by the BBWAA…joined David Price (2012) as the only Rays to win the Cy Young Award…became the youngest pitcher to win a Cy Young Award since LAD Clayton Kershaw (25) in 2013, and the youngest AL pitcher since SEA Félix Hernández (24) in 2010…his 180.2 IP were the fewest ever for a Cy Young Award-winning starting pitcher over a full season...Only two pitchers have won the AL Cy Young and appeared in fewer career games than Snell (74) at the time of their award: BOS Roger Clemens in 1986 and OAK Vida Blue in 1971...Won the 2018 Warren Spahn Award as the majors' top left-handed pitcher, based on wins, ERA and strikeouts…joined David Price (2010) as Rays to earn the honor...Led the AL outright in both wins (21) and ERA (1.89), both club records…the last AL pitcher to match his combination of wins and ERA was NYY Ron Guidry (25, 1.74) in 1978…since the advent of the designated hitter in 1973, he was only the third AL pitcher to record at least 20 wins and a sub-2.00 ERA, along with Guidry and BOS Roger Clemens (21, 1.93) in 1990…his ERA ranked 3rd in the AL in the DH era, behind a pair of unanimous Cy Young winners: Guidry in 1978 and BOS Pedro Martínez (1.74) in 2000...In the live ball era (1920), only three other pitchers age 25 or younger achieved his combination of 21 wins and a 1.89 ERA: NYM Dwight Gooden (24, 1.53) in 1985, OAK Vida Blue (24, 1.82) in 1971 and DET Hal Newhouser (25, 1.81) in 1945...Was the majors' youngest 21-game winner since LAD Clayton Kershaw in 2011 and the AL's youngest since OAK Barry Zito in 2002...Was only the third pitcher since 2003 to record at least 20 wins, after 5 wins (or fewer) the season prior…CIN Johnny Cueto recorded 5 wins in 2013 due to three stints on the disabled list, and 20 wins in 2014 to finish 2nd in the NL Cy Young Award voting…CLE Cliff Lee recorded 5 wins in 2007 and was demoted to the minors that year, and in 2008 won 22 games and the AL Cy Young...Yielded 2 runs or fewer in 27 of 31 starts, most such starts ever by an AL pitcher in the DH era, ahead of NYY Ron Guidry (26) in 1978…allowed 2 runs or fewer in 20 of his last 22 starts… yielded 1 run or fewer in 21 starts, most by an AL non-opener in the DH era ahead of TOR Roger Clemens (20) in 1997…nine of his 31 starts were scoreless...Also ranked among AL leaders in WHIP (0.97, 2nd), SO/9 IP ratio (11.01, 4th) and HR/9 IP ratio (0.80, 3rd)…according to Baseball Reference, led AL pitchers with 7.5 Wins Above Replacement (WAR)…according to FanGraphs, averaged 95.8 mph on his fastball, 3rd in the AL, and 15.1 pct. of his total pitches were swings and misses, 2nd in the league...Twelve of his 31 starts came against the five AL postseason teams-the Red Sox (4), Yankees (3), Indians (2), Astros (2) and Athletics (1)…in these 12 starts, he went 9-2 with a 2.00 ERA (72-IP, 16-ER), including 8 starts allowing 1 run or fewer, while all other pitchers compiled a 4.84 ERA vs. these clubs…went 3-0 with a 1.08 ERA (25-IP, 3-ER) in 4 starts against the Red Sox, the majors' top-scoring team...Made 5 starts against a former Cy Young Award winner, and went 3-0 with a 0.59 ERA (30.2-IP, 2-ER) in those games...Enters 2019 having won nine consecutive decisions, tied with Matt Moore (2012-13) for the club record…his last loss was July 12 at MIN, his final start before the All-Star break...Won nine consecutive starts from Aug 10-Sep 23, the only pitcher in the majors to do so in 2018…over that stretch, he went 9-0 with a 1.03 ERA (52.2-IP, 6-ER) and 74 SO…according to Stats LLC, the only other pitchers in major league history to match or exceed those numbers over a 9-start span are MIN Johan Santana in 2004 and STL Bob Gibson in 1968, both unanimous Cy Young Award winners...Went 10-1 at home with a 1.27 ERA-the lowest home ERA by an AL pitcher since CAL Nolan Ryan (1.07) in 1972-before the advent of the DH…didn't allow more than 2 runs at home in 2018, and yielded 1 run or fewer in 12 of 14 starts at home…yielded 1 ER or fewer in 14 consecutive home starts from Sep 12, 2017-Aug 26, 2018, the longest such streak in the majors since 1913- when earned runs were officially kept in both leagues, according to the Elias Sports Bureau...Was named AL Pitcher of the Month for August and September, the youngest pitcher in either league to win back-to-back awards since MIN Johan Santana (July, August, September) in 2004…went 4-0 with a 1.04 ERA (26-IP, 3-ER) in 5 starts in August and 5-0 with a 1.26 ERA (35.2-IP, 5-ER) in 6 starts in September…joined Chris Archer in July 2013, Jeremy Hellickson in May 2011, David Price in September 2010 and Scott Kazmir in May 2008 as Rays pitchers to receive the monthly honor...Only two starters with at least 100 IP in both 2017 and 2018 improved their strikeout rate more than Snell…his strikeout pct. increased from 21.8 in 2017 to 31.6 in 2018, a 9.8 pct. increase, trailing PHI Jerad Eickhoff (+21.8) and HOU Gerrit Cole (+11.4 pct. )…also decreased his walk rate from 10.8 to 9.1 pct...Became the third starting pitcher to win the Don Zimmer Award, given to the club's Most Valuable Player, following James Shields in 2011 and Tanyon Sturtze in 2001...According to Baseball America's Best Tools survey of major league managers, coaches, scouts and executives, his curveball was ranked 3rd in the AL behind CLE Corey Kluber and HOU Charlie Morton...Has only hit one batter in 74 career starts, on June 9 vs. SEA in his 57th start…his 56 starts without a hit batter was the longest streak by any starter to begin his career (with no relief appearances over that stretch) since Baseball Reference data is available (1908)…it was also the longest streak by a Rays starter at any point in franchise history, passing James Shields (38) in 2009-10...Selected as the No. 2 starter on March 15 by Manager Kevin Cash, up from No. 4 in the 2017 season-opening rotation…was placed on the 10-day DL on July 23, retroactive to July 20, with left shoulder fatigue, and reinstated on Aug 4...On April 10 at CWS, recorded his first win of the season, reaching double-digit strikeouts for the second time in his career…became the fifth pitcher in Rays history to yield 1 hit or fewer while recording at least 10 SO, first since Drew Smyly on April 19, 2016 at BOS...On April 16 vs. TEX, his only run allowed in 6.1 IP was a solo homer by Joey Gallo, which snapped a scoreless streak of 26.2 IP at Tropicana Field…ended just shy of the club record held by David Price (29.1, July 14-Sep 20, 2012)…it was the first time in his career he gave up a home run to a left-handed hitter...Faced his childhood idol, Félix Hernández, in consecutive starts from June 3-9, and went 1-0 with a 0.75 ERA (12-IP, 2-R/1-ER)…in the first of these starts, pitched in front of family and friends in his first career start at Safeco Field… grew up watching almost every Mariners game with his father...On June 3 at SEA, struck out his first seven batters faced, tying an AL record…joined CWS Joe Cowley on May 28, 1986 at TEX and CWS Carlos Rodón on Sep 30, 2016 vs. MIN…his seven consecutive strikeouts to start the game fell one shy of tying a modern major league record…he broke the Rays record for consecutive strikeouts to start a game (Scott Kazmir, 5 on Aug 25, 2007 vs. OAK) and tied the Rays record for consecutive strikeouts at any point in a game (also Chris Archer on Sep 11, 2015 vs. BOS and Andy Sonnanstine on June 10, 2007 at FLA)…was the second time in franchise history a Rays pitcher delivered a scoreless start with at least 12 SO and 0 BB and did not record the win, following Chris Archer on May 27, 2015 vs. SEA...On June 19 at HOU, recorded the win despite a career-high 7 BB, the most by a Ray since Jeremy Hellickson (7) on June 8, 2012 at MIA and tied for the most ever by a Rays pitcher in a winning decision (5th time, last Victor Zambrano on April 6, 2004 vs. NYY)…became the first pitcher to record at least 7 BB and 7 IP in a game since ARI Edwin Jackson in his no-hitter at Tropicana Field on June 25, 2010...On June 25 vs. WAS, did not allow a hit until Anthony Rendon's double in the 7th inning… walked his first 2 BF in the 1st inning, but after that retired 18 consecutive batters faced-tied for the 3rd-longest streak of consecutive batters retired in a game in franchise history, behind Matt Garza (22) on July 26, 2010 vs. DET and Chris Archer (19) on July 29, 2015 vs. DET...On Aug 10 at TOR, retired all 15 BF on 47 pitches in his second start after returning from the 10-day DL…it was the fourth time since Baseball Reference data is available (1908) that a starting pitcher was pulled with a perfect game through at least 5 IP…joined LAD Rich Hill on Sep 10, 2016 at MIA (7 IP)-his third start back from the disabled list; DET Daniel Norris on Sep 22, 2015 vs. CWS (5 IP)-his second start back from the disabled list; and HOU Bob Knepper on Oct 5, 1986 vs. ATL (5 IP)-the club's regular season finale and a tuneup start for the postseason...On Sep 12 vs. CLE, did not allow a hit until José Ramírez homered to lead off the 7th inning… matched the longest no-hit bid of his career and became the second Rays pitcher with multiple no-hit bids of 6 IP within the same season, joining Nathan Eovaldi (also in 2018). ® On Sep 18 at TEX, did not allow a run in 5 IP for his club-record-tying 20th win…broke the record in his next start, Sep 23 at TOR-a scoreless start of 6.2 IP...ALL-STAR GAME: Replaced CLE Corey Kluber on the AL All-Star Team roster…was the first selection of his career, and it marked the ninth consecutive season the Rays had a pitcher named an All-Star; only the Yankees (12) have a longer streak in the AL…was the third pitcher used by the AL, and he went 1.2 IP, yielding a homer to Willson Contreras on the first pitch of his outing…struck out Nolan Arenado, Matt Kemp and Bryce Harper. Made 24 starts over three stints with the Rays, and made 7 starts for Triple-A Durham over a six-week assignment there…began the season as the Rays No. 4 starter, was optioned to Durham on May 14 after 8 starts, recalled June 28, optioned Aug 4 and recalled Aug 8…did not miss a start between his second and third stints, as Alex Cobb was placed on the disabled list with turf toe... Enjoyed a strong finish to the season in his third stint with the Rays…in his final 10 starts after the Aug 8 recall, he went 5-1 with a 2.84 ERA (57-IP, 18-ER) and averaged 16.0 pitches per inning…did not allow an earned run in 4 of those 10 starts, and went at least 6 IP in 7 of them… during that span he ranked 6th in the AL in ERA and 4th with a .197 opp avg. …in his first two stints, he went 0-6 with a 4.98 ERA (72.1-IP, 40-ER) and 18.9 pitches per inning in 14 starts... Compiled both the longest winless streak (15 starts, April 6-Aug 10) and unbeaten streak (10 starts, July 29-Sep 20) by a Rays starter in 2017…the 15-start winless streak was the longest by any pitcher to begin a season since MIL Marco Estrada (15) in 2012, and tied Tanyon Sturtze in 2002 for the longest in club history to begin a season…it extended to 16 starts including his final start of 2016, one shy of the club record held by Jason Hammel in 2006-07... Averaged 2.70 BB/9 IP over his last 13 starts beginning July 24, compared to 5.95 BB/9 IP in 11 starts prior to that... Has never allowed a homer to a left-handed hitter in his career (162 BF), and did not allow an extra-base hit to a lefty over his final 9 starts of 2017 (25 BF)…only two other pitchers in the majors have faced as many lefties over the past two seasons without yielding a home run: SF Ty Blach (215 BF) and COL Carlos Estevez (162)…in 2017, Snell held lefties to a .182/.267/.227 (12-for66) line while righties hit .243/.325/.416 (101-for416) with 15 HR... Has never hit a batter in 43 career starts, the longest streak by any starter to begin his career (no relief apps over that stretch) since Baseball Reference data is available (1913)…it is the longest streak by a Rays starter at any point in franchise history, passing James Shields (38) in 2009-10... Became the first AL pitcher ever to make a pair of scoreless starts against the Cubs in the same season…earned no decision on July 5 at CHC when the bullpen yielded 7 runs in a 7-3 loss…on Sep 20 at home, threw 7 IP of 2-hit ball in an 8-1 win over Jon Lester... Went 7 IP in 4 of his last 8 starts, compared to once in 35 career starts prior to that…his first start of 7 IP came on July 24 vs. BAL, his 31st career start…since Baseball Reference data is available (1913), he was the first AL pitcher without a start of at least 7 IP through his first 30 career apps, all as a starter... On Sep 26 at NYY, faced 6 batters in the 2nd inning and did not record an out…his 1 IP was the shortest start by a Ray (excluding injury or weather delay) since Jeff Niemann on Sep 24, 2011 vs. TOR…his last 2 BF were bases-loaded walks to Aaron Hicks and Aaron Judge... Made the best start of his career in the Rays season finale on Oct 1 vs. BAL, totaling 7 IP, 2 H, 0 R, 0 BB and 13 SO in a 6-0 victory…the 13 SO were a career high, the most by a Rays pitcher since Chris Archer on June 2, 2015 at LAA (club-record 15) and most by a Rays lefty since David Price on Sep 25, 2012 at BOS (13)…it was only the third time in Rays history a pitcher recorded at least 13 SO without allowing a run, joining Price on Aug 28, 2011 at TOR (14) and James Shields on May 22, 2011 at FLA (13)... Ended the season on a streak of 18 consecutive scoreless innings at Tropicana Field... Threw a combined 173.1 IP between the Rays and Durham, a career high, and matched his career high (2016) with a combined 31 starts… made 7 starts during his six-week stay with Durham, and went 5-0 with a 2.66 ERA (44-IP, 13-ER) and 61 SO (12.48 SO/9 IP). Named the club's Rookie of the Year by the Tampa Bay Chapter of the Baseball Writers' Association of America…ranked 3rd among AL rookies with 19 starts and 5th with 98 SO…his 3.54 ERA ranked 2nd among AL rookies (min. 10 starts) behind DET Michael Fulmer (3.06)… kept his ERA below 4.00 all season...Between the Rays and Triple-A Durham, combined for a career-high 31 starts and 152 IP…his previous highs were 24 starts in 2014 and 134 IP in 2015...His 9.91 SO/9 IP ratio led AL rookies (min. 10 starts), set a club rookie record and ranked 8th overall in the AL...Yielded only 5 HR in 89 IP with the Rays…his 0.51 HR/9 IP ratio led major league rookies (min. 10 starts), was a club rookie record and ranked 3rd overall behind OAK/LAD Rich Hill (0.33) and LAD Clayton Kershaw (0.48)...Yielded 0 HR and only 2 XBH to left-handed hitters (87 BF)-doubles by LAA Kole Calhoun and BOS David Ortiz...Opponents hit just .043 (2-for-46) with 1 2B and 27 SO in at-bats ending with his curveball…according to PITCHf/x, it was the lowest opp avg. of any pitch in the majors (min. 40 AB ending with the pitch)...Min. 75 IP, his 19.3 pitches per inning were the most in the majors and in club history…his 5.16 BB/9 IP (89-IP, 51-BB) was the highest in the majors and highest by a Ray since Seth McClung (5.94) in 2006…his 1.62 WHIP was the 4th highest in the AL and highest by a Ray since Andy Sonnanstine (1.66) in 2009....Averaged less than 5 IP per start…made 6 starts of less than 4 IP, tied for 2nd most in the majors behind MIN Tyler Duffey (7), and most by a Rays pitcher in a season since Edwin Jackson (7) in 2007…pitched less than 5 innings in 6 of his last 9 starts, including his rain-shortened finale, Sep 28 at CWS (2.2 IP)...Held opponents to 2 ER or fewer in 14 of his 19 starts, including 8 consecutive starts from July 7-Aug 22, the longest such streak by a rookie in club history…passed Matt Moore (7) in 2012...Recalled from Triple-A Durham on April 23 to make a spot start, the third Rays pitcher to make his major league debut at Yankee Stadium (David Price in 2008, Bobby Seay in 2001)-but first as a starter…his line: ND, 5 IP, 2 H, 1 R, 6 SO…his 6 SO were the most by a visiting pitcher in his debut at Yankee Stadium since BOS Robinson Checo (6) on Sep 16, 1997… twice struck out Alex Rodriguez, who he grew up watching as a young Mariners fan…only run scored on a 1st-inning WP…left with a 2-1 lead but earned no decision in the 3-2 loss...Recalled again June 16 and remained in the majors through the end of the season...Earned his first win on June 27 vs. BOS, his fourth start, snapping the Rays 11-game losing streak with a 13-7 victory…at 23 years, 206 days, became the youngest Rays pitcher to beat the Red Sox since Scott Kazmir did it at 22 years, 160 days on July 3, 2006 (2-hit SHO)...Enjoyed arguably his best start of the season on July 19 at COL after a two-hour rain delay to start the game…over 6 scoreless innings, his only hit allowed was a single by Charlie Blackmon in the 4th…became the second visiting rookie in Coors Field history to pitch 6-plus scoreless innings and allow one hit or fewer, following SD Oliver Perez on July 7, 2002…his 9 SO were a career high (tied on July 31 vs. NYY)...Led major league rookies with 33 SO in July, most ever by a Rays rookie in the month of July…his 2.76 ERA for the month ranked 5th among major league rookies and 2nd among AL rookies (min. 25 IP) behind DET Michael Fulmer (2.67)...Made 4 starts against the Yankees, going 2-1 with a 3.00 ERA (18-IP, 6-ER) and 24 SO...Finished the season with a streak of 11 consecutive scoreless innings…did not allow a run over his final 2 starts, spanning 7.2 IP, the last one shortened by rain. Ê Didn't hit a batter in any of his 19 starts, passing Wade Davis in 2009-10 (16 starts) for the longest streak without a HBP to start a major league career in franchise history...Yielded 9 unearned runs, most of any AL rookie and most by a Rays rookie since Matt Moore in 2012 (10)…unearned runs accounted for 20.5 pct. of his total runs allowed...Faced four former Cy Young Award winners (CLE Corey Kluber, DET Justin Verlander, BOS David Price, HOU Dallas Keuchel) and lost all 4 of those starts…those four opponents recorded a combined 0.87 ERA (31-IP, 3-ER)...For Triple-A Durham, went 3-5 with a 3.29 ERA (63-IP, 23-ER) in 12 starts…at the time of his June 16 recall, his 90 SO led the International League and ranked 2nd in the minors…also led the IL with 12.9 SO/9 IP…in his final start, June 10 at Lehigh Valley (Phillies), recorded a careerhigh 13 SO in 5.2 IP…had a pair of scoreless starts the week prior, earning IL Pitcher of the Week honors for May 30-June 5. Named Minor League player of the Year by USA Today and Baseball America…he is just the ninth player, fifth pitcher and second Ray to win both awards…Jeremy Hellickson won both in 2010…named Rays Minor League Pitcher of the Year for the second consecutive season…Was a combined 15-4 with a 1.41 ERA and 163 strikeouts in 25 games, 23 starts with stops at Class-A Charlotte, Double-A Montgomery and Triple-A Durham…over the past 75 years, only three other pitchers have reached his numbers for wins (15), ERA (1.41) and strikeouts (163) in a minor league season: SF Salomon Torres in 1991 (16-6, 1.41, 214-SO), BAL Orlando Peña in 1972 (22-3, 1.25, 187-SO) and STL-AL Ned Garver in 1944 (21-8, 1.21, 221-SO)…His 1.41 ERA led all minor league qualifiers and was the lowest for a full-season pitcher since Justin Verlander's 1.29 in 2005…also led all minor league pitchers in 2015 with a .182 opp avg. and ranked 4th in wins and strikeouts…Across all three levels, he struck out 31.3 pct. of all batters faced…He recorded a scoreless innings streak of 49 innings, including the first 46 innings of 2015… didn't allow a run in 21 IP at Charlotte or in his first 25 IP at Montgomery…according to Baseball America, the longest shutout run in minor league history was 72 IP by Irv "Kaiser" Wilhelm spanning 1907-11…more recently, Brad Thompson logged 57.2 consecutive scoreless frames for Double-A Tennessee (Cardinals) in 2004…Snell's streak ended in the first inning of his 2-1 win over Tennessee on May 23…allowed 3 H, 1 BB and struck out a career-high 12 in the game, including 3 SO against Cubs rookie sensation Kyle Schwarber… During his career he has faced Schwarber 8 times and struck him out 7…Twins rookie standout Miguel Sano was 0-for-5 with 3 SO in 2015, his only experience facing Snell…In his 23 starts, he allowed no runs eight times and one run or fewer 18 times…also had 2 relief innings of 5 and 6 innings in which he didn't allow a run…only once did he allow more than 3 runs: on June 4 at Jacksonville (Marlins) he permitted 4 runs in a 5-1 loss…he allowed one hit or fewer in 5 starts…had a combined onehitter in a 9-0 win Aug 9 vs. Louisville (Reds)…At each stop along the way lowered his BB per 9 IP rate: from 4.7 at Charlotte to 3.8 at Montgomery to 2.6 at Durham…issued 4.91 BB per 9 IP prior to 2015 (157-BB, 288.1-IP)…Went 5-0 in his last 6 starts with a 1.78 ERA…Pitched a perfect inning in the All-Star Futures Game in Cincinnati's Great American Ball Park. KC@TB: Snell strikes out 3 in return from I.L. April 24, 2019 Tampa Bay Rays activated LHP Blake Snell from the 10-day injured list. April 16, 2019 Tampa Bay Rays placed LHP Blake Snell on the 10-day injured list retroactive to April 14, 2019. Fractured right toe. August 4, 2018 Tampa Bay Rays activated LHP Blake Snell from the 10-day injured list. July 23, 2018 Tampa Bay Rays placed LHP Blake Snell on the 10-day disabled list retroactive to July 20, 2018. Left shoulder fatigue. August 8, 2017 Tampa Bay Rays recalled LHP Blake Snell from Durham Bulls. August 4, 2017 Tampa Bay Rays optioned LHP Blake Snell to Durham Bulls. June 28, 2017 Tampa Bay Rays recalled Blake Snell from Durham Bulls. May 14, 2017 Tampa Bay Rays optioned LHP Blake Snell to Durham Bulls. June 16, 2016 Tampa Bay Rays recalled Blake Snell from Durham Bulls. April 24, 2016 Tampa Bay Rays optioned LHP Blake Snell to Durham Bulls. April 23, 2016 Tampa Bay Rays recalled Blake Snell from Durham Bulls. March 15, 2016 Tampa Bay Rays optioned LHP Blake Snell to Durham Bulls. November 20, 2015 Tampa Bay Rays selected the contract of Blake Snell from Durham Bulls. 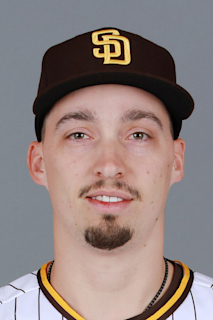 July 20, 2015 LHP Blake Snell assigned to Durham Bulls from Montgomery Biscuits. April 27, 2015 LHP Blake Snell assigned to Montgomery Biscuits from Charlotte Stone Crabs. May 29, 2014 LHP Blake Snell assigned to Charlotte Stone Crabs from Bowling Green Hot Rods. March 31, 2013 LHP Blake Snell assigned to Bowling Green Hot Rods from Princeton Rays. June 16, 2012 Blake Snell assigned to Princeton Rays from GCL Rays. June 20, 2011 Blake Snell assigned to GCL Rays. June 16, 2011 Tampa Bay Rays signed LHP Blake Snell.